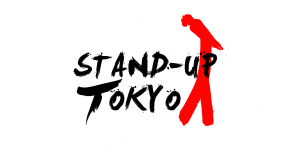 Want an insight into the comedy scene in Tokyo? Want an insight into the comedy scenes around the globe??? Well, Tokyo Brunch is where they collide – over a boozy brunch. In Tokyo. We are blessed in Tokyo with regular visitors from around the world, and the comedy community here Japan have decided to get to know them better. We sit down, have a drink and just chat. About Japan, about comedy, about where they have come from, where they want to go – it’s a light but in depth chat, which we hope you enjoy. Regular hosts Aziz Vora & Vinay Murthy are joined by other faces in the scene for this fortnightly series.